When it comes to civil anti-piracy enforcement, BREIN is without a doubt one of the best-known players in the industry. Backed by Hollywood and other content industries, the group has been active for more than two decades in the Netherlands. Aside from shutting down sites and going after sellers of pirate streaming boxes, BREIN is also planning to go after BitTorrent users. By using in-house software that automatically gathers IP-addresses of seeders, hundreds if not thousands of copyright infringers can be easily pinpointed. At first sight, this practice is very similar to the “copyright trolling” efforts that are common around the world. However, the Dutch anti-piracy group is taking a more reserved approach. Instead of going after the IP-addresses of anyone who’s connected to a torrent swarm, BREIN is mostly interested in structural seeders who upload content for a longer period of time. In other words, the group wants to target those who frequently offer pirated content. This decision was brought up by BREIN director Tim Kuik in the Dutch podcast “Met Nerds om Tafel” recently. There, he explained that his organization represents a wide variety of rightsholders and not all of them support the idea of going after casual downloaders. “Our enforcement efforts apply to all these copyright holders. Therefore, they all have to agree on how this takes place. At the moment there is no consensus within that group on how to deal with individual end-users,” Kuik says. BREIN’s director believes that focusing on structural uploaders is the best approach in the case anyway. “Personally, I have always had my doubts about going after individual downloaders. I believe you have to focus on the supply side,” he notes. In theory, it’s possible for rightsholders to go after casual downloaders but that’s not something BREIN can do collectively. They work with funds that come from various parties who all have to agree on an approach. TorrentFreak reached out to Kuik to clarify who the main targets are. Kuik says that pirate sites and services are the prime focus and that the planned mass settlement effort will focus on the most prolific uploaders in this ecosystem. “We focus on early and large uploaders that function as a source of unauthorized content and we will expand that to frequent and prolonged uploaders that function as a lubricant keeping unauthorized content available over time,” Kuik tells us. “Hit & run end users are at the end of the chain. We think they can best be approached with measures that raise their awareness, such as blocking access to illegal sites with referral to a landing page that explains why,” he adds. Sending informative alert emails to users whose IP-addresses are linked to sharing pirated material is also an option. However, that’s something ISPs will have to cooperate with. Enforcement may eventually shift to downloaders if there’s a situation where it’s impossible to go after the suppliers, Kuik notes. Then it makes sense to target downloaders as well. This could also apply to torrent users. Kuik tells us that if other enforcement measures, such as site blocking or going after a hosting company, fail structurally the demand side could get more into the spotlight. For now, however, uploaders are the targeted only. When BREIN plans start its campaign is yet unknown. That said, Dutch torrent users have more to fear than BREIN alone. Movie distributor Dutch FilmWorks (DFW) also received permission from the Data Protection Authority to monitor and track BitTorrent pirates. They are expected to target downloaders as well. 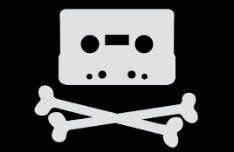 In the podcast, Kuik also provided some further insight and commentary on piracy in general. The issue of availability also came up. In particular, the fact that Game of Thrones is only available through a single telecom provider in the Netherlands, Ziggo. This means that some people can’t access it legally, even if they wanted to. Kuik agreed that this is “strange,” but also noted that it’s one of the exceptions. “That’s a particularly strange situation, in my opinion, but that’s something that should be taken up with Ziggo,” he says. For BREIN’s director, it was never a preconceived plan to become a public copyright enforcement figure. After his law study, he took a summer job at a joint venture between the movie studios Paramount and Universal. This is where it all started. “That’s when ‘E.T. The Extra-Terrestrial’ premiered in theaters, which was heavily pirated on videotapes. This also happened with other movies but E.T. made a lot of money and Steven Spielberg was extremely concerned. In a meeting, he burst into tears about it. Something had to be done,” Kuik says. As a young legal expert, Kuik was called in to help. That would eventually turn him into a leading figure in the copyright enforcement world who helped to found dozens of local anti-piracy outfits around the world. This work is appreciated by many rightsholders, but it also results in quite a few hateful comments from people who disagree with BREIN’s efforts. That doesn’t really bother Kuik much through. “My fans are at the copyright holders. If you don’t have any enemies then you never stood up for something,” Kuik concludes.